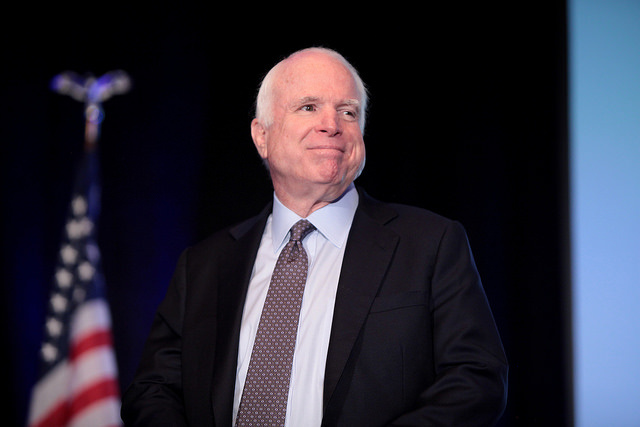 Senator John McCain appeared as a guest on the Diane Rehm Show several times over the years. He talked to Diane about his captivity in Vietnam, his efforts to pass campaign finance reform and why he thought he was the right choice for president. Here is a special rebroadcast of an interview from 2007. Diane spoke with the senator in September of that year, just after the publication of his book, “Hard Call,” and as his bid to become the Republican nominee for president was gaining steam. Throughout their conversation you can hear many of the qualities Sen. McCain was known for: charm, passion, a focus on the military, a commitment to “straight talk” and a willingness to cross party lines. At one point McCain tells Diane that he has made mistakes, but that he is happy with his life. These are words that he would repeat in a farewell statement he wrote before his death.